A luxury lifestyle magazine aimed at the people who live, work and play in the Napa. For over 17 years, Napa Valley Life has been the premier lifestyle magazine dedicated to living and visiting the Napa Valley. We are dedicated in providing locals and visitors a magazine that captures the essence of living in the Napa Valley. 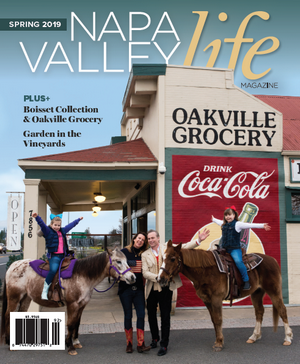 Published six times a year, Napa Valley Life defines and celebrates this special place we call home through sophisticated and informative feature and department articles solely dedicated on the Napa Valley. Within in each issue, we cover the Napa Valley lifestyle; from food and wine; homes and decor, entertaining, dining, gardening, health, events, insider information and destination guide information including a detailed winery map as well as local town maps. Our controlled targeted distribution includes households of the Napa Valley with an annual income of $100,000 and above. Magazines are also distributed to over 300 luxury locations throughout the Napa Valley including hotels, restaurants, coffee shops, galleries, health clubs, retail stores and other high traffic locations. The magazine also has special distribution to several lifestyle and cultural events targeting our affluent consumers. Every issue gives your business brand and marketing a full 8 weeks of exposure to a very affluent audience. Napa Valley Life is considered a souvenir, a coffee table collectible enjoyed time and time again. All of which means an ad in Napa Valley Life will still be working for you long after other publications have hit the recycle bin. The Napa Valley is noted as one of the most beautiful regions of California, rich in heritage and tradition. Known for its world-renowned fine wines, epicurean experiences, luxurious accommodations and breath taking vistas, the Valley shines as a premiere destination to live the good life. Napa Valley offers a variety of entertainment including fine art, theater, music and outdoor activities. 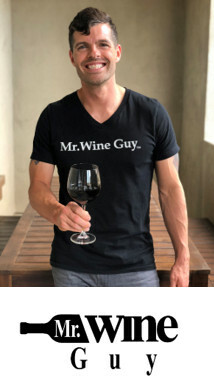 Stay abreast and let NVL be your comprehensive guide to Napa Valley Events and things to do as well as learn about the people behind what makes this community so amazing. Publisher/Editor, Kari Ruel and former business partner, Jim Brumm started Napa Valley Cuisine Magazine in 1997. Both raising small children on their own, they created Napa Valley Family Magazine in 1998 to give “parents with school age kids” a resource for family living in the Napa Valley. The duo changed the name to Napa Valley Life to broaden their reach and became incorporated under Choice Publishing, Inc. in 2000. Ruel bought out Brumm’s interest in 2005 so he could pursue a music and a book writing career. The two remain good friends and allies to this day. Under the guidance of Ruel and her support team, Napa Valley Life Magazine has continually evolved to keep up with the changing tapestry of life in the Napa Valley.